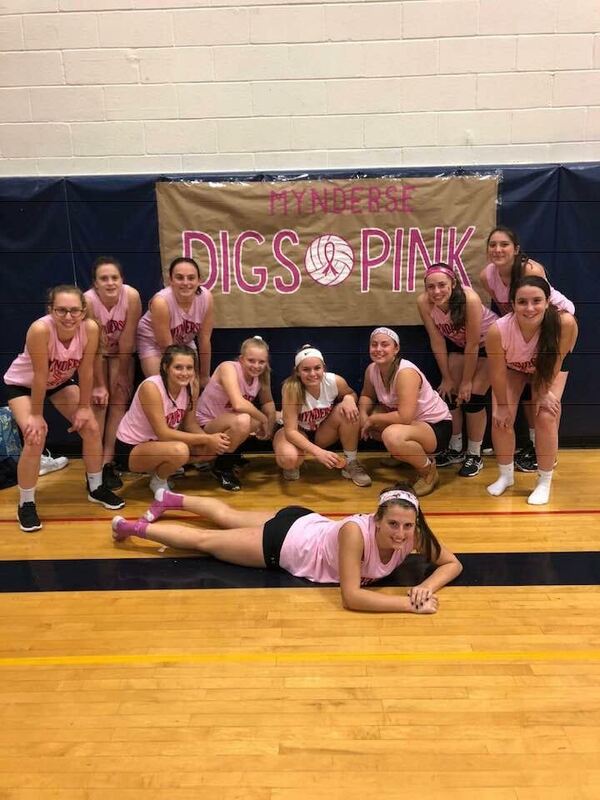 The Girls Volleyball teams held their annual Dig Pink Event last night when they hosted Bloomfield here at home. The teams, their fans and families were able to raise $272 for the Sideout Foundation. The donation will be made in memory of Nancy Page, mother of Mynderse softball standout and volleyball player Jenni Page. Nancy lost her battle with cancer earlier this year. Thanks to all who came and supported our girls and their efforts toward a cure! This event was held at all levels of our program with our opponents that night (Bloomfield CSD). The girls held a bake sale and had a donation jar to raise money. 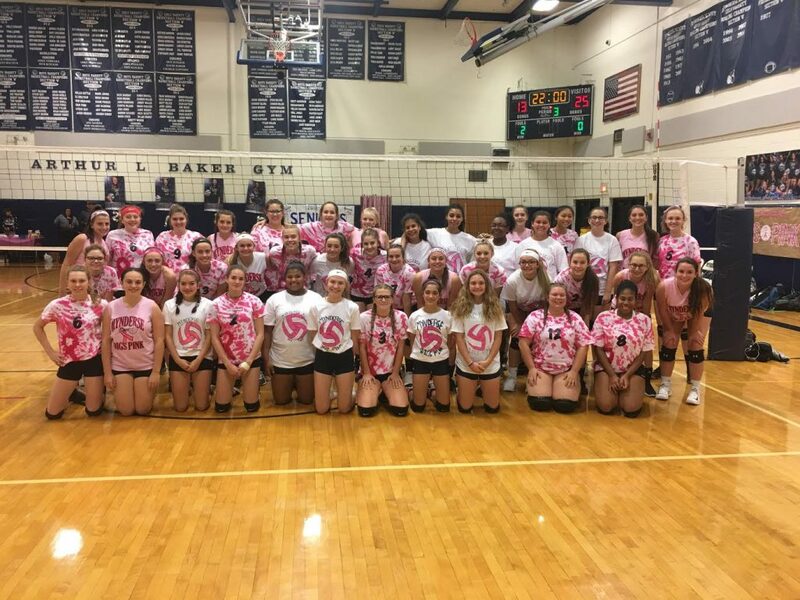 I have also attached another picture of all levels of our volleyball program and Bloomfield’s together that night in their pink shirts. It was a great event!